At all offices and depots throughout Australia, Dysons use energy efficient light bulbs including LED lighting and natural light at all times where possible. 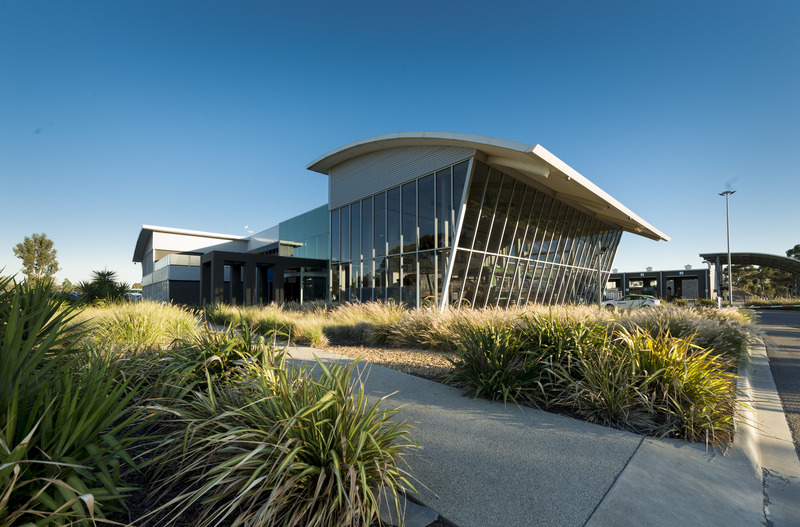 Our 19 Million Dollar purpose built depot in Melbourne was specifically designed to maximise the use of natural light and energy with an abundance of skylights and glass panels. Our new state-of the art, purpose built facility has incorporated water tanks to collect rain water run-off from roofing surfaces. This is utilised to water over 500 native Australian bushes and trees which have been planted to off-set greenhouse emissions. Rain water run-off stored in our water tanks is also used in conjunction with grey water in our water saving, eco-friendly bus wash and cleaning bays and is recycled from drainage cleaning areas utilising the latest eco-friendly vehicle cleaning technology. Dysons use bio-degradable environmentally friendly cleaning products to clean the interior and exterior of all vehicles. The use of these cleaning products extends to all depots and office locations throughout Australia including the usage of recycling bins for plastic bottles and paper products. Further to this, we use electronic communication at every opportunity including the setting of printers at the most economical and green printing settings available. Signage and banners are re-usable and constructed of recyclable materials. From a catering perspective, Dysons only use recyclable, disposable cups, plates, napkins and cutlery for all tours and charters. Where possible we utilise fresh, local seasonal food available in the various regions of our operation. 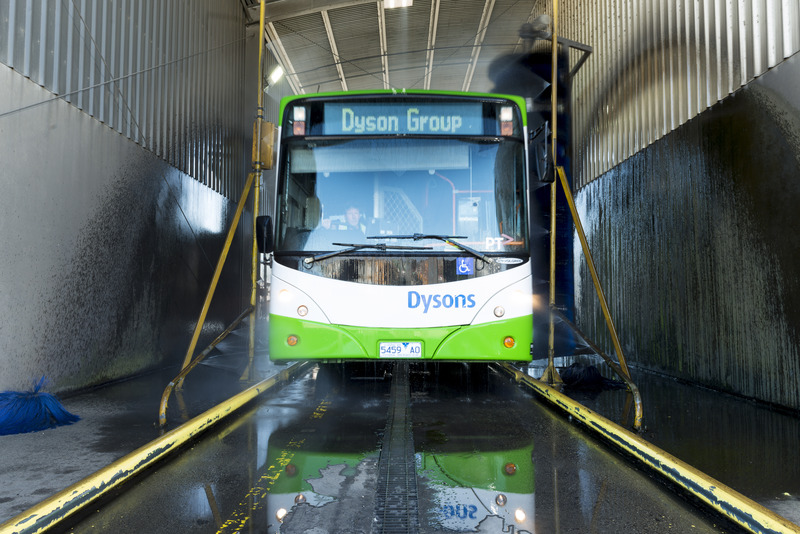 As a concerned corporate citizen, Dysons recognises our responsibility to help save water and to help keep our waterways as clean as possible from oil, grease and other pollutants that wash off of vehicle service sites into stormwater drains. All oil and fuel spills are cleaned up immediately using the appropriate biodegradable, non-toxic, eco-friendly spill kits. Vehicle oil and fuel leaks identified during maintainence activities are addressed immediately with regular spot-checks and corrective procedure management systems. Daily inspections of all vehicle parking areas for evidence of oil or fuel spills. Suspect vehicles are reported immediately. Dysons is registered under the Department of Climate Change, National and Energy Reporting (NGER) Act 2007. Under this program, we report our national energy usage and carbon footprint each year. Dysons voluntarily registered under NGER’s predecessor, the Department of Environment, Greenhouse Challenge Plus program in June 2000. We continue to use this information to measure our progress year-on-year.